JetSmarter, the mobile marketplace that seamlessly connects travellers to private jets from their smartphones, has partnered with trip planning company Jetex Flight Support to provide clients with exceptional first class travel experiences from the ground up – making private air travel even more luxurious. The partnership will introduce a new luxury experience for JetSmarter members as they benefit from exceptional customer service to relax, and find a home-away-from-home in Jetex’s facilities worldwide. Jetex provides a comprehensive range of trip support services such as aircraft fueling, ground handling, trip planning, concierge services and more. It also operates lounges and high-end FBOs in several global airports – including Paris, Dubai, Shannon, Kiev, Toluca and Chile – where JetSmarter customers will be able to relax, eat, shower and even catch up on sleep. 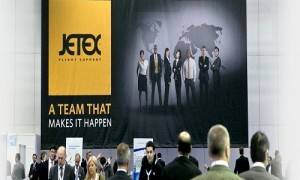 In total, the company has over 37 locations in 27 countries including an Operations base in Miami, FL. Under the agreement, JetSmarter aims to fly most of its worldwide charter flights out of Jetex facilities. The partnership will also see Jetex customers receive an exclusive offer to become part of the JetSmarter membership experience. Every Jextex member who joins the JetSmarter network will be offered a month’s free extension. 3,000 plus aircraft globally to provide endless flight options for members. For more information, please visit www.JetSmarter.com. JetSmarter is a mobile marketplace that offers instant pricing and availability for private jets worldwide. The application democratizes the private jet industry by decreasing the entry price for consumers and helping air carriers’ gain more exposure within the market. By eliminating the middle man when it comes to booking a private jet, this app takes the process into the future with simplicity and ease. 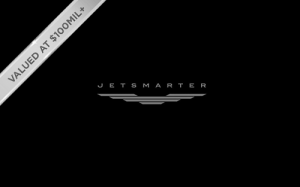 The JetSmarter app is available for iOS and Android. For more information, please visit www.JetSmarter.com.